John is a man of all seasons. He interacts easily with people of all ages. His varied background means that he is comfortable in a wide variety of situations. He is patient, reasonable under challenging circumstances; he is an empathetic listener. John has a B.S. degree from Brigham Young University in Education with an emphasis in Korean. He also studied construction management at San Diego State University. He completed the AMI/NAMTA Adolescent Orientation at Hershey Ohio in 2018. 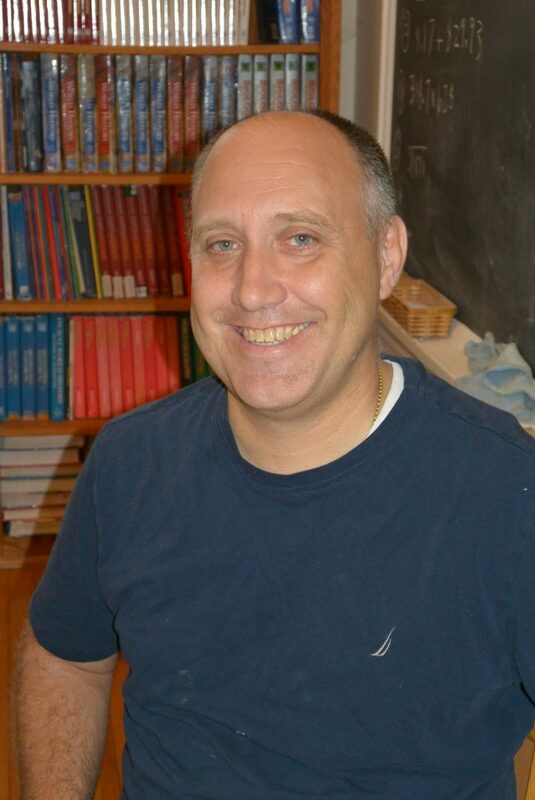 John has experience teaching multiple ages, kindergarten through high school including general elementary education, special education, science, history, and English in Virginia, West Virginia, Idaho, and Illinois. Other work has included military intelligence analysis, military instruction, farming, and writing short stories for publication. John is dedicated to student achievement and helping students reach their potential. He sees education as an exciting, continuing process that results in regular growth, an increasing ability to serve others, working for better ways of doing things, and a desire to learn even more. He enjoys reading, spending time with family, writing, science, and the outdoors.